Last week I was cooking again with my little students. 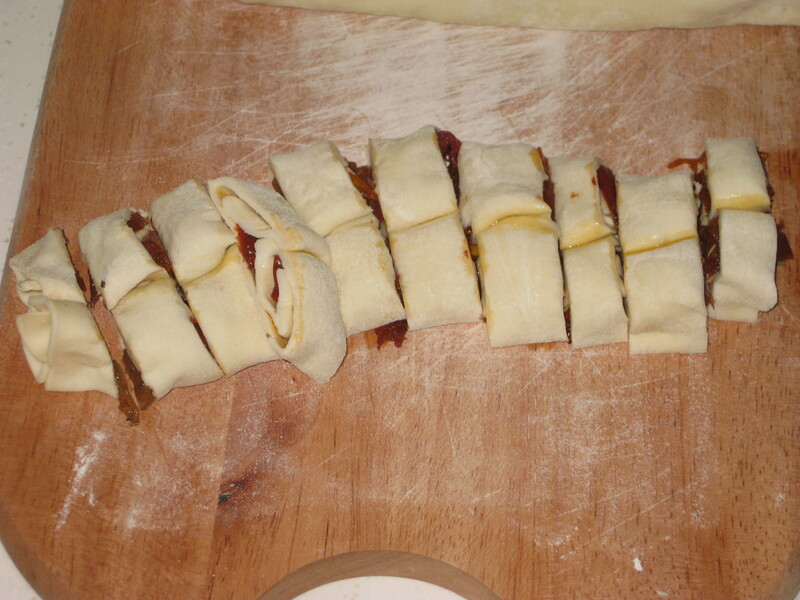 We made apple strudel, which was not only really tasty, but also introduced them to the wonders of pastry. Although pastry is available in bigger supermarkets in Hong Kong, it isn’t really widely used – most homes don’t have ovens, most home-cooking is not particularly western-influenced. So while the little whippersnappers may have eaten something with a bit of pastry before, they’ve never seen it in its uncooked form or actually made anything with it. They were poking the rolled out pastry and pulling faces at its yuckiness, then expressing their amazement that a little block could roll out and stretch to cover the apple goo in the middle. Of course, they loved it too, declaring the pastry superior to the apple part. They are right to be so impressed. Pastry truly is amazing. Usually I’m all about sweets and desserts, but when it comes to pastry I think savoury is the way forward. 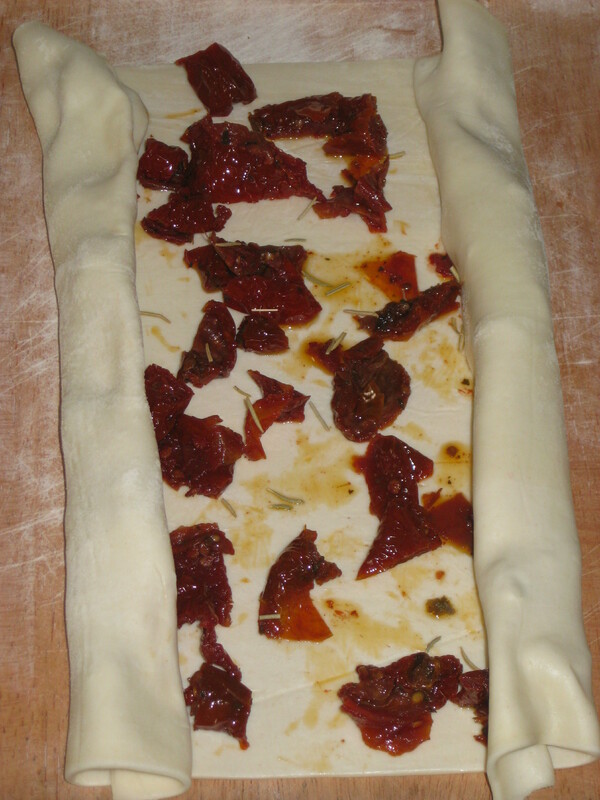 I love a nice pie or savoury tart (and am eager to make a tarte tatin for the first time), and of course sausage rolls. 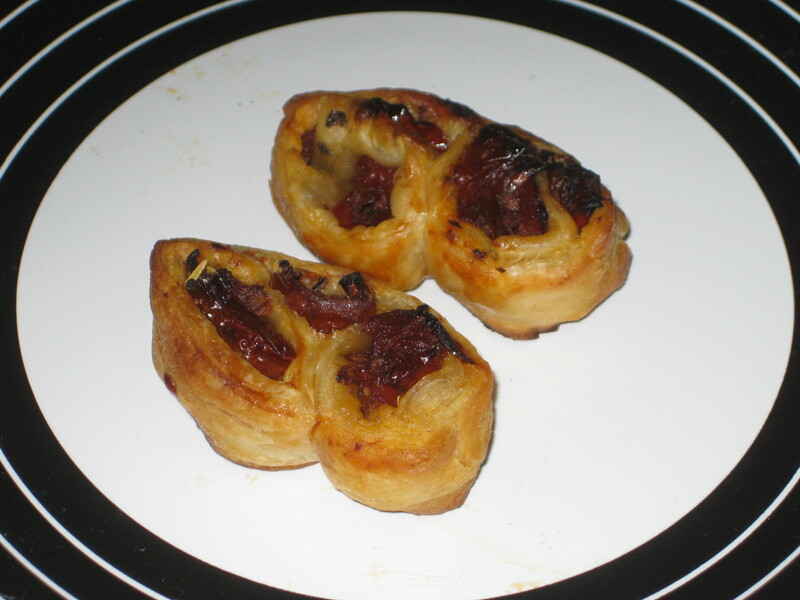 Then there are these little savoury palmiers. 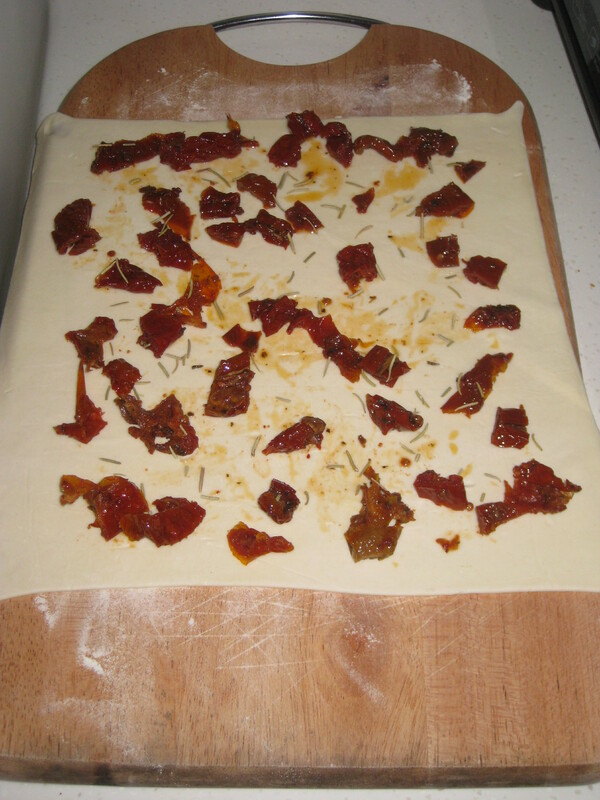 The perfect appetiser or nibble, they are easy to make and combine the flakiness of the golden brown pastry with the juicy tomatoes and wonderful rosemary. Little bites of heaven! 2. 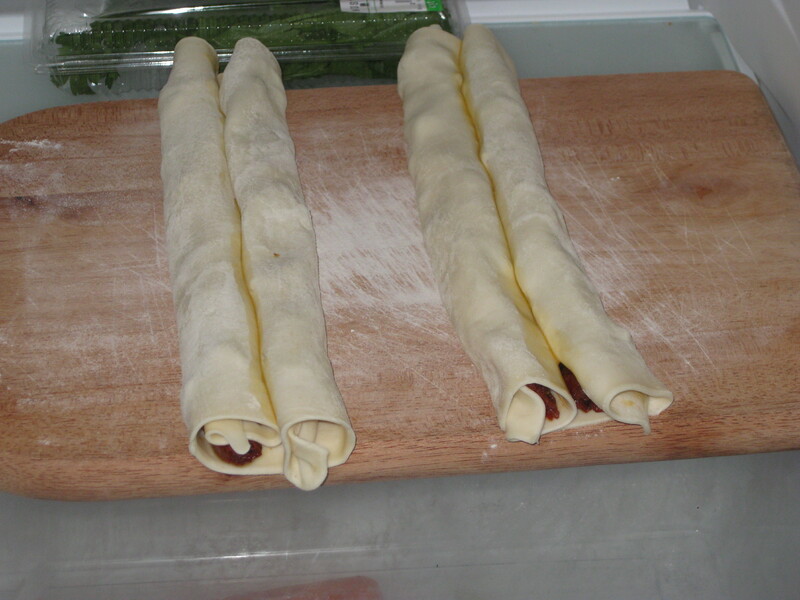 Take the 2 longest edges of the pastry rectangle and roll them in to meet in the middle. Brush a little egg down the centre to stick the two halves together. 3. Carefully lift onto a baking tray and chill in the fridge for at least 30 minutes. 4. Preheat the oven to 200C. 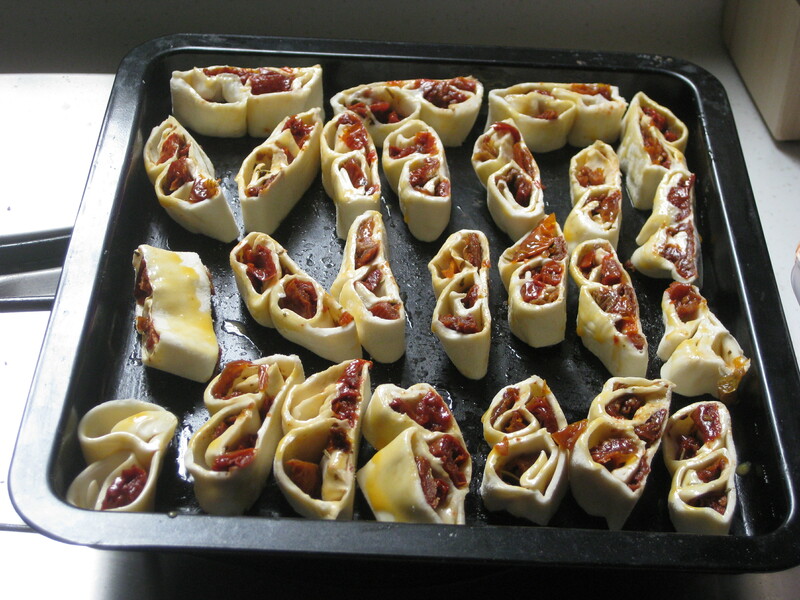 Remove the roll from the fridge and slice into 1cm thick pieces. 5. Lay each slice on the baking tray, brush with egg and bake for 10-15 minutes until golden brown. Allow to cool down for 5-10 minutes before serving. 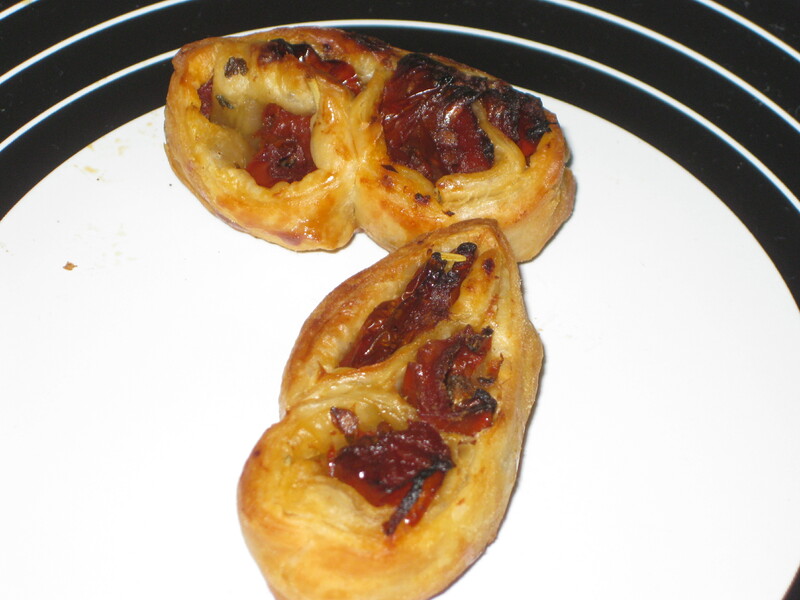 This entry was posted in Vegetarian Recipes and tagged dinner party, Lorraine Pascale, palmiers, puff pastry, savoury palmiers, vegetarian appetiser. Bookmark the permalink. 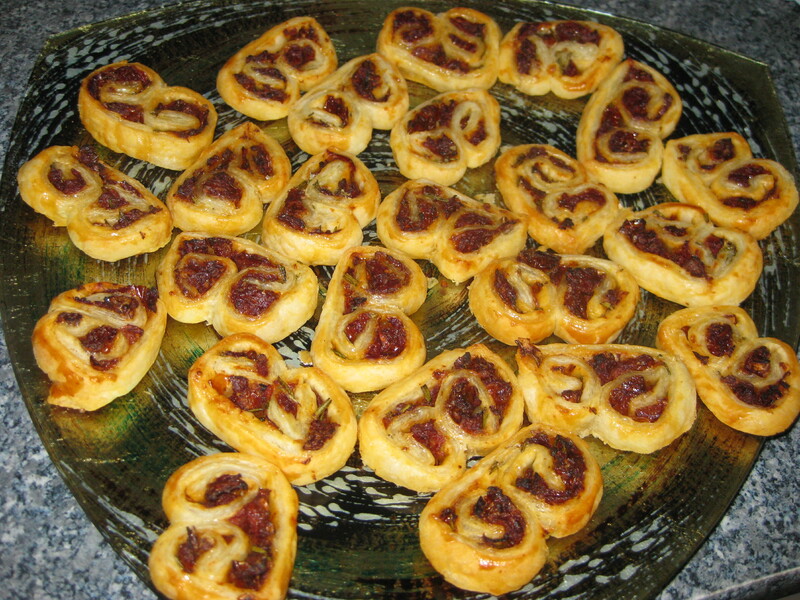 I have never made myself palmiers. I have so many things lined up to try.. Wish I had more time. Thanks for stopping by Joanna! I know what you mean, I have a million things on my to-do list in the kitchen. Staying on the pastry theme, maybe tarte tatin will be next. As pastry dishes go, these palmiers aren’t too time consuming and are really ideal for entertaining, so do give them a go when you have time!